This hotel is located in Budir. Dining options at Hotel Budir include a restaurant and a bar/lounge. Room service is available during limited hours. A complimentary breakfast is served daily. This 3.0 star property offers small meeting rooms and business services. This Budir property has event space consisting of banquet facilities and conference/meeting rooms. The property offers an airport shuttle (surcharge). Wedding services, concierge services, and tour assistance are available. Guest parking is complimentary. Additional property amenities include a marina, a coffee shop/cafe, and multilingual staff. This is a smoke free property. 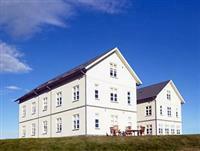 There are 28 guestrooms at Hotel Budir. Bathrooms feature makeup/shaving mirrors, bathrobes, slippers, and complimentary toiletries. Guestrooms offer direct dial phones and CD players. Televisions have satellite channels and DVD players. Rooms also include desks and clock radios. Guests may request irons/ironing boards, hypo allergenic bedding, and extra towels/bedding. Housekeeping is available. Cribs (infant beds) are available on request. Guestrooms are all non smoking.